StockExplain - Trusted News and Interviews on Indian Stocks: Neha International - Investment Opportunity or Wait Further? Neha International - Investment Opportunity or Wait Further? Neha International Ltd (BSE: 519560, NSE: NEHAINT), which had a recent rapid fall, that more than halved its share price - from Rs. 260 levels to Rs. 110 levels - is attracting many bottom-fishing investors, especially since Neha had somewhat stood up from the fall with a 12% recovery. Neha's prime business is floriculture, especially cultivating roses in Ethiopia, and exporting them to world markets. 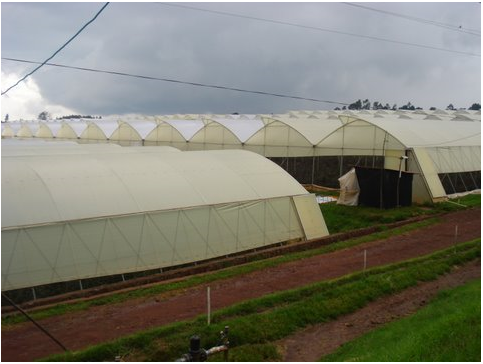 It has recently diversified into the high-buzz area of agriculture too with major land acquisitions in Ethiopia and Zambia, and in that sense is comparable to other major Indian players in Africa like Karuturi Global (BSE: 531687, NSE: KGL) and Ruchi Soya (BSE: 500368, NSE: RUCHISOYA). Though bottom-fishing can be a rational strategy on some stocks during some occasions, in the case of Neha International, investors are likely to be worried as the fall was deep and alarming. In just 31 trading sessions from November 12 to December 28th, the market cap of Neha International nosedived by nearly 60%. But in one way, this sort of movements are nothing new for Neha, which had - just prior to this fall - zoomed over 90% within a matter of 5 days - from Rs. 130 levels to Rs. 260 levels - after a rather flat-to-positive price-performance in the year-to-date. However, moving up again won't be so easy or so fast, as Neha International has been shifted to BSE's Trade-to-Trade segment (T Group and its NSE equivalent of 'BE') starting from 26th November, where it is subject to smaller and stricter upper / lower circuits and no day trading. Fundamentally viewing, Neha seems to be a performing company in the farming space, that delivered on a consolidated basis, annual profits of Rs. 12.30 crore on a total income of Rs. 56.04 crore, for the year ended June 30th 2010, which signals a healthy net profit margin of around 22%. The growth exhibited in FY'10 was also impressive with total income growing by around 14%, and net profit zooming by over 190% for the corresponding period (unaudited) in FY'09. From an investor viewpoint, Neha's EPS growth was also impressive with consolidated diluted EPS for FY'10 jumping to Rs. 8.44 from the Rs. 3 levels it was in the corresponding period of FY'09. Current prices appear reasonable on FY'10 EPS, as it amounts to only a P/E of 13.53. However, it needs to be highlighted that much of the annual profit jump came up only in the June 2010 quarter, with profits growing by over 320% in the quarter, and income growing by over 135%, showing the erratic nature of farming related activities. Maybe the reasonable P/E valuation even at Rs. 130-140 levels was the reason why investors flocked in to the counter when the scrip started moving up, thus making the move vertical to Rs. 260 levels. But needless to say, the scrip couldn't hold out at those levels due to heavy selling at those high levels. Even worse, when Neha International fell, it fell deeper than the rapid climb, swiftly reaching Rs. 106 levels. The subsequent mild recovery upto Rs. 123 was also swift - driven by small but successive upper circuits - may be again due to the reasonable valuations. But from those levels Neha has corrected again - also on circuits - this time of the lower type. Though some of this volatility may be driven by high-volume traders or the so-called operators, the volatility is also signalling the uncertainty among investors in this counter. The fact that the standalone performance of Neha International continues to be lacklustre, doesn't help either, as on standalone basis, the scrip can appear to be very expensive with a P/E around 95 and a price-to-book-value (P/BV) of 3.5 times, even at this beaten down levels. Consolidated book-value of Neha is definitely better at Rs. 42 levels, but still consolidated P/BV doesn't signal a very cheap status, as even now it comes around 2.70 times. But for argument's sake, it can be taken as reasonable, especially as the consolidated P/E is indeed reasonable. What comes across as really unreasonable or unattractive in the stock is its promoter holding which stood at just 24.87% as on September 30th according to BSE filing, with the remaining 75.13% equity being held by the public. It is disturbing that despite Neha's ambitious growth plans, its promoters have chosen to hold only a minority stake. Neha's shareholding pattern also shows an oscillation in promoter holding from quarter to quarter, for the last four quarters. The promoter holding which was 24.55% in December 2009 dipped to 20.05% in March 2010, and again dipped to 19.91% in June 2010, to recover to 24.87% by September 2010. It is not clear whether the successive reductions in promoter holdings affected the share price negatively, but recent upping of the stake by promoters seems to have had the side-effect of rapid price appreciation. The rapid price-climb witnessed in early November 2010 was incidentally subsequent to the preferential allotment of shares by way of conversion of warrants issued to promoter group at Rs. 55 per share. Interestingly, the shareholding pattern also shows that no Foreign Institutional Investors (FIIs) or Domestic Institutional Investors (DIIs) have any kind of stake in Neha International now. Their total absence is disturbing as they are regarded as the more knowledgeable of all investors. In contrast, the huge public holding in the company - of more than 75% now - is dominated by around 14 individual or corporate bodies holding more than 1% of the total equity base. Ranging from stakes of 1.16% to 7.85%, these 14 investors together account for nearly 39% stake in the company. Since these investors are not any kind of long-only funds like pension funds, their activities might also be contributing to the extreme volatility seen in Neha's scrip. One challenge facing Neha International is that despite its ambitious and diversified plans, its current mainstay continues to be cut roses and trading. Significant revenues and profits from agriculture is yet to kick in. For those investors willing to bet on the Neha International story, the current correction is attractive, but only for the smallest of initial investments. Even then it is better to wait for the current upper / lower circuits to ease out a bit. Medium-term upside targets for Neha would be around Rs. 154-156, on sustained positive market sentiments and absence of negative news flow for Neha like any large scale dilution or poor results. On the downside, if the support at Rs. 106 breaks down, one should be ready with a stop-loss, or to average deep down, though nobody will expect it to fall to its preferential issue price of Rs. 55. On a longer horizon, better is to watch out for certain developments on the income, profit, dilution, trading, and shareholding fronts. For the September 2010 quarter, Neha's consolidated EPS was Rs. 2.23, which even while is a sequential dip from the June quarter, has more or less played its part in trying to keep the annual EPS at last fiscal's Rs. 8 odd levels. The next quarterly result due out in January should also be closely watched for consistency or improvement. On the dilution front, the company's recent AGM has approved a $20 million fund raise through ADR / GDR / FCCB / QIP. Since Neha's current equity base is around Rs. 15 crore only, with a market cap of Rs. 185 crore, the additional fund raise of Rs. 90 crore will amount to significant dilution if done at current levels. It remains to be seen whether Neha can grow its profits rapidly to offset this dilution. On the shareholding front, any kind of increase in holdings by the promoter group, or entry of FIIs or DIIs may be taken as a positive cue, whereas any kind of further decrease by promoters should be taken as a negative cue. On the trading front, Neha continuing in BSE's T Group or NSE's BE segment is not attractive, as most institutional investors wouldn't touch such scrips. On the other hand, Neha moving to BSE's B Group or NSE's EQ segment is a definite plus.